Choksi and his companies allegedly availed credit from overseas branches of Indian banks using the fraudulent guarantees of PNB. Indian agencies told Antigua there was no adverse information against Mehul Choksi when the Caribbean country did its background check on the fugitive billionaire before granting him citizenship in 2017, says a local media report in the Caribbean nation. 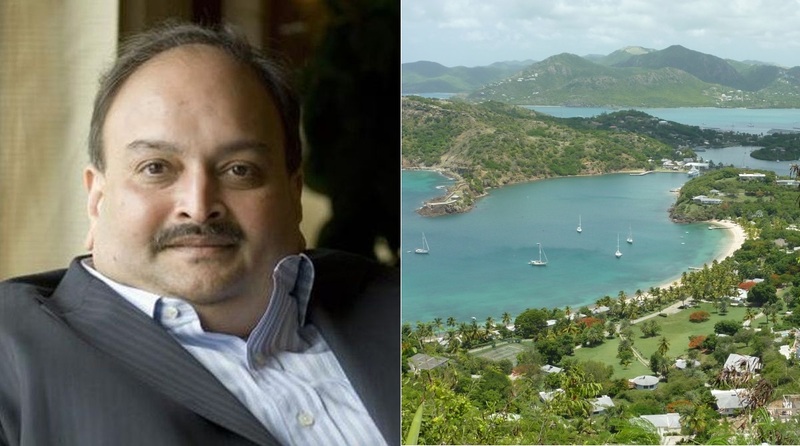 Choksi’s application for citizenship in Antigua in May 2017 was accompanied with clearance from the local police as required by norm, Antiguan paper the Daily Observer reported, citing a statement from the Citizenship by Investment Unit of Antigua and Barbuda. Choksi is one of the alleged masterminds of the USD 2 billion scam in state-run Punjab National Bank and uncle of fugitive diamantaireNirav Modi. “The said police clearance certificate from the Government of India, Ministry of External Affairs Regional Passport Office, Mumbai, certified that there was no adverse information against Mr. Mehul Chinubbhai Choksi which would render him ineligible for grant of travel facilities including visa for Antigua and Barbuda,” the report said. The authorities in the island country did a thorough check on Choksi from open source global agencies, including the Interpol, that there was “no instance” of any derogatory information against him, it said. The Antiguan authorities, as part of their own checks, found two instances of SEBI (Securities and Exchange Board of India) action against Choksi’s firms in 2014 and 2017 and sought more information on them, the report said. SEBI told authorities in Antigua that one case was “satisfactorily closed” and there was “insufficient evidence” to pursue the second matter, the Citizenship by Investment Unit said in the report published by the Daily Observer. The unit said if there was a warrant against Choksi when his application of citizenship was being processed, Interpol should have been informed about it and it should have been part of a national criminal database. 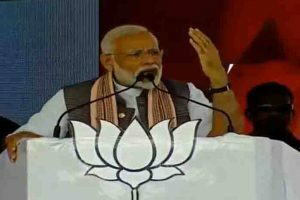 In a recent response to a question by Congress leader Kapil Sibal, the Finance Ministry said in the Rajya Sabha that the PMO was “intimated” about the complaints regarding the PNB frauds in Public Sector Banks in 2016 and the matter was referred to it. “Ministry of Finance, vide Office Memorandum dated 1.3.2018, apprised PMO of action taken regarding the fraudulent issuance of Letters of Undertaking in PNB,” it said. The reply, however, did not make it clear whether the complaints referred to the Finance Ministry included Prasad’s specific complaint against Choksi. Under the Citizenship by Investment Program of Antigua and Barbuda, a person can take their passport on a minimum investment of USD one lakh in the NDF investment fund. Choksi and his companies allegedly availed credit from overseas branches of Indian banks using the fraudulent guarantees of PNB given through letters of undertaking (LoUs) and letters of credit issued by the Brady House branch which were not repaid, bringing liability on the state-run bank, the officials said.